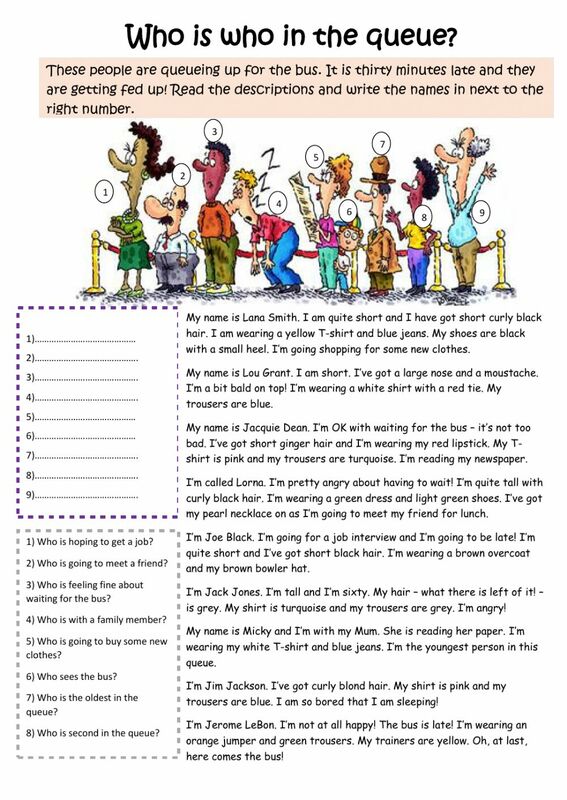 Live worksheets > English > English as a Second Language (ESL) > Describing people > Who is who in the queue? Match the descriptions to the people, then answer the questions. Copyright 10/8/2016 cunliffe. Publication or redistribution of any part of this document is forbidden without authorization of the copyright owner. This is just amazing ! I love it ! Great excercise!!! I love it. Great exercise! Thanks for sharing! It was a great worksheet!